The most reliable and best value in slave cylinders on the market today. 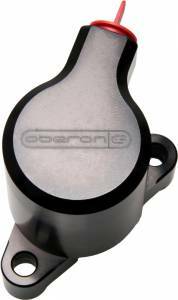 Oberon Performance clutch slave cylinder has proven to be the most reliable slave cylinder on the market. Designed to improve the performance and looks of the original Ducati cylinder. Substantially reducing the heaviness of the original clutch action, aching arms and clunky gear changes are a thing of the past. The internal piston design, seals and breather hole have been drastically enhanced to stop leaks and leave a smoother clutch action. CNC machined from billet for lightness, strength and precision looks. The 29mm piston size is much easier to find neutral while still having an easy clutch pull. Everything you need is included in the kit plus a conversion shaft for earlier Ducati's. UPDATE: Oberon has updated the slave cylinders to work with the 2011/2012 and newer bikes that have a pin to stop the rod from spinning. You won't need to remove the pin, there is now a recess built into the Oberon slave cylinder. 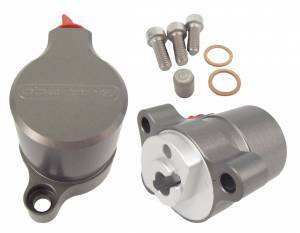 *Add MOTUL RBF600 Racing Brake Fluid as an option when purchasing this Oberon Slave Cylinder for only $12 ($21 value). Flush your brakes and clutch fluid at the same time. *To insure longevity of your slave cylinder seals, start with a new throw out bearing and change your throw out bearing when you swap out clutch plates. 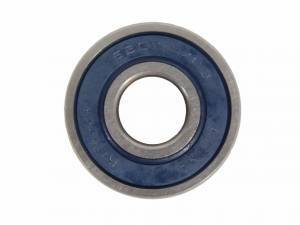 Seized throw-out bearings are the number one cause of slave cylinder seal failures. The Oberon Performance Ducati Panigale 1199-1299 / 899-959 clutch slave cylinder has been designed to improve the efficiency and the looks of the original clutch slave cylinder unit. The internal piston design and seals have been drastically re-engineered to prevent leaks, piston jamming when hot and leave a smoother (judder free) clutch action. CNC machined from T6 billet alloy for lightness, strength and eye-catching good looks. Everything you need is included in the kit including full instructions and is ready to fit. Our piston seals are manufactured from special Viton rubber which is frozen and then CNC machined with a 'U' profile (not standard 'O' rings) which is specifically for hydraulic use. * Register on the Motowheels website for Free forum passwords to access discounts on most non sale items or upgrade to lifetime VIP passwords for the deepest discounts on ALL products.